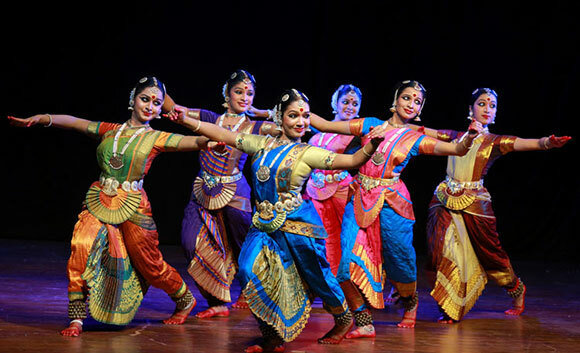 Kunthi is a dance drama piece where the boundaries of motherhood is explored through the mythical character Kunthi. Kunthi, the epochal woman from the Mahabharata is a metaphor of every other woman, who lives in a society of stigmas. Kunthi’s innocent, well mannered childhood transforms to a phase of curiosity and spirit of adolescence and then to the trials and tribulations of motherhood, a complete metamorphosis from her innocence to her anguishes as the mother of Karna, her abandoned son. Falling pray to societal pressures, she had to stay silent about her son Karna. Her silence yielded Karna only shame and humility. Kunthi live each day struggling with her inner conflicts and regretting her injustice. Kunthi’s tale becomes one of mighty significance in the contemporary world. People intend to fall pray to the hypocrisies prevailed in the society. The mothers are forced to abandon their children to abide by society norms and the fear of being shamed while the children lead a misfortunate life. Motherwhood however can not be undermined. The love, sacrifice, patience and the unconditional love epitomises motherhood.